Why Do You Eat? Danielle S., registered dietitian, Offers Help! The Holiday season can be likened to a roller coaster ride. For some, this roller coaster is fairly “kid-friendly” and filled with joy, laughter, excitement, love, happiness, and contentment. For others, the ride is a bit more extreme and brings about memories of loved ones passed, feelings of loneliness, longing, or hurt. Stress can result from either type of emotional roller coaster (good or bad stressors). In addition to emotional stressors, this time of year brings out physical stressors due a variety of factors such as lack of sleep (from staying up late visiting with family or wrapping presents), over-exercise (trying to undo holiday indulgences), under-exercising (due to lack of time), too much processed food, sweets, and/or alcohol (stresses your liver and kidney), mental fatigue from being “on” all holiday season, the list goes on. Have you ever stopped to think about how you deal with these stressors? Do you slow down and take time for yourself by going for a nice walk, getting a massage, or curl up with a good book and some tea? Or do you internalize and let your stress build up inside? How does stress impact the way that you eat? 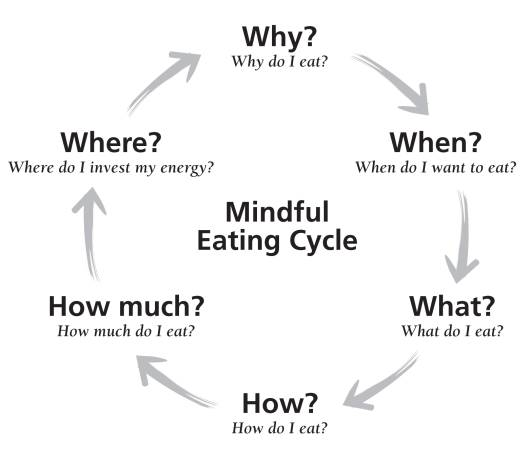 Lately, I’ve been working with my clients on Mindful Eating. Michelle May, MD, author of Eat What You Love, Love What You Eat utilizes the following diagram to help others take control of their eating habits. With the New Year, we all get a fresh start. Now is the perfect time to evaluate 2015. What were the most positive aspects? What was hard to go through but made you stronger? How did food impact your life? Did it control you or were you in control of what you ate? It’s important to really dig deep when evaluating. Often times we eat as a coping mechanism rather than because we’re truly hungry. Over the next several posts, I’m going to dig deep with you to discover what drives our eating habits. Can you relate to any of those answers? Maybe you have more to add to the list. Take a good look at the list. Most of the reasons given ultimately reflect using food as a means handle an emotion or situation. It is a distraction rather than fuel for the body. 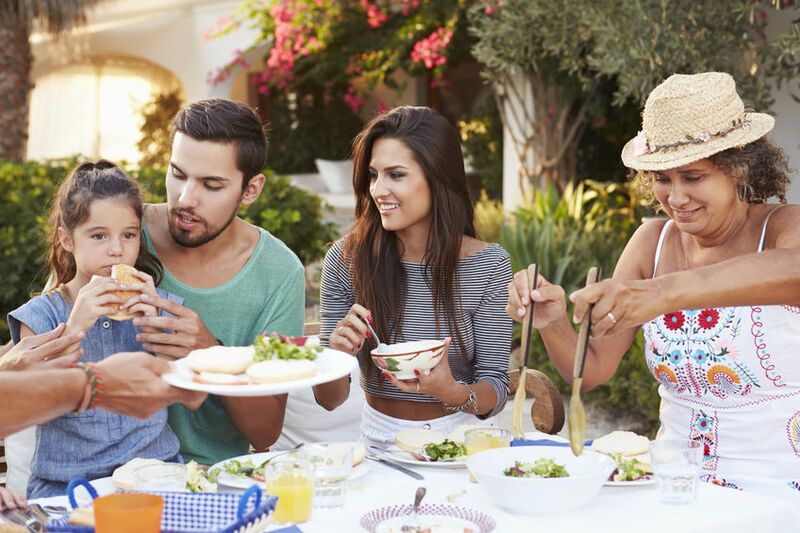 If you’re truly hungry, reach for foods that will satisfy that hunger: protein, complex carbs, and healthy fat. (handful of nuts and 1 tbsp dried fruit, 1-2 hardboiled eggs, 1/4th avocado mashed on whole grain toast with 2 slices of turkey). The first step in taking control of your eating habits is being aware of the reason why you make certain food choices. I’m working on this too! I’m exciting to embark on this journey with you.